Before I talk about my journey to publication, I’d like to thank Victoria for generously sharing her blog space with me for the day. I’ve been a follower and fan of Victoria’s for a while and I’m delighted to have my post appear beside such a talented writer. Thanks Victoria! It’s time to admit something. My journey to publication has been a huge process of elimination. From genre to publishing platfom–it’s all ended up not where I intended but where I belonged. I firmly believe that now, even if I couldn’t foresee it at the time. My first manuscript was not supposed to be a YA novel. High school was not something I wanted to revisit. I was the chubby, awkward, smart girl. The trifecta of uncool. College was where I found myself and learned to live in my own skin. So I set the original draft at a university with my main character being a college student and her antagonist being a graduate student. They would time travel to solve a murder. It was a fun adult paranormal mystery. At least, I thought it was, but the industry said otherwise. At every conference I went to, I was told I’d put them in the age wasteland–the years that will not be written about. What would one day be known as “New Adult” but at the time remained unpublishable. To try to get attention for that manuscript, I decided to write a short story, The Six Train to Wisconsin. But I didn’t want to repeat that age mess again. My characters would be adults. Firmly and utterly adults–people in their late 20s. After two months of laboring over Six Train, I submitted it. But I wasn’t done. Oh no. Those characters had latched onto my soul and they weren’t letting go. They hounded me. Kept whispering to me about themselves. Begging me to tell their story. So I did. I wrote the book that was inside me. The book I wanted to read. The book I needed to write. It didn’t fit nicely into a genre box. Speculative fiction is the best way to describe Six Train, but it’s a cross-genre book. If you enjoy contemporary fantasy and an unconventional lovestory with mystery and thriller elements woven in and the occasional literary phrase–this is your book. While I wrote Six Train, I finally realized I needed to adjust my first manuscript if I wanted to traditionally publish it. I would either age my college age characters to their mid 20s or down to YA. My voice was young and light. It didn’t fit a twenty-something woman. Not in that story. I’d stumbled upon the genre for my first manuscript and it was YA. Six Train gave me an uphill battle to publication. Agents and publishers didn’t know what to do with it. How to sell it. So I got lots of full requests for my manuscript and many personalized rejections. When they started to converge around “beautiful writing but not a blockbuster”, I realized indie publishing was the best option for Six Train. Six Train might not make enough money to support a traditional publisher/agent venture, but I felt like it was the best thing I’d ever written. Like I could die the day after it was published with zero regrets. So I researched and started planning my indie publishing venture. 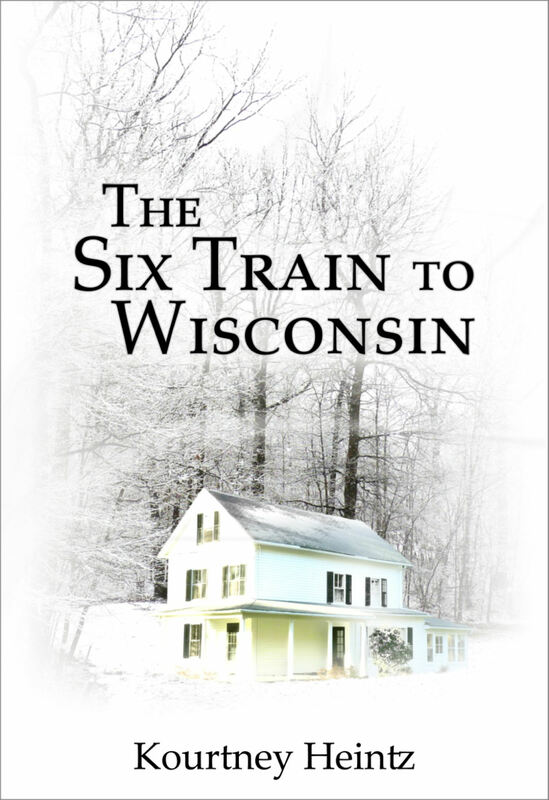 Seven months later, The Six Train to Wisconsin is now published. And that first manuscript, the one that became YA, it’s represented by ICM Partners and we’re negotiating an offer. Her debut speculative fiction novel, The Six Train to Wisconsin, was a 2012 Amazon Breakthrough Novel Award Semifinalist. Thanks Beth! The blog topic was Victoria’s idea–isn’t she brilliant! 🙂 I hope you enjoy it! Love this journey, Kourtney, because it is so real! I love your spin on how you figured out you landed where you belong, even if it is an unexpected place. Some people would have balked, but the fact you kept going was obviously a wise decision. 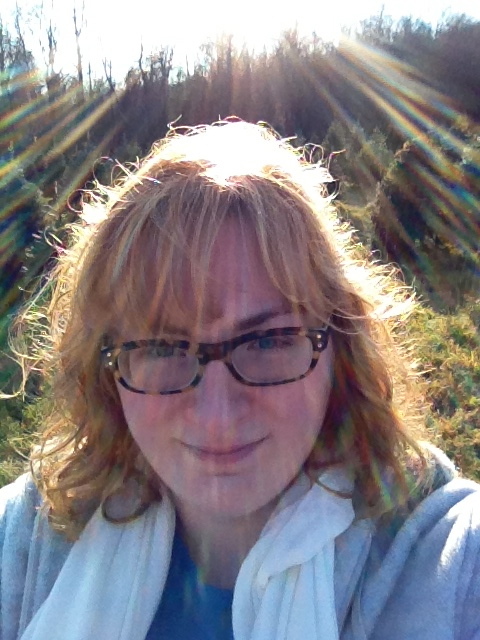 Interesting to read more details about your journey— so inspirational! Thanks for sharing your platform Victoria!